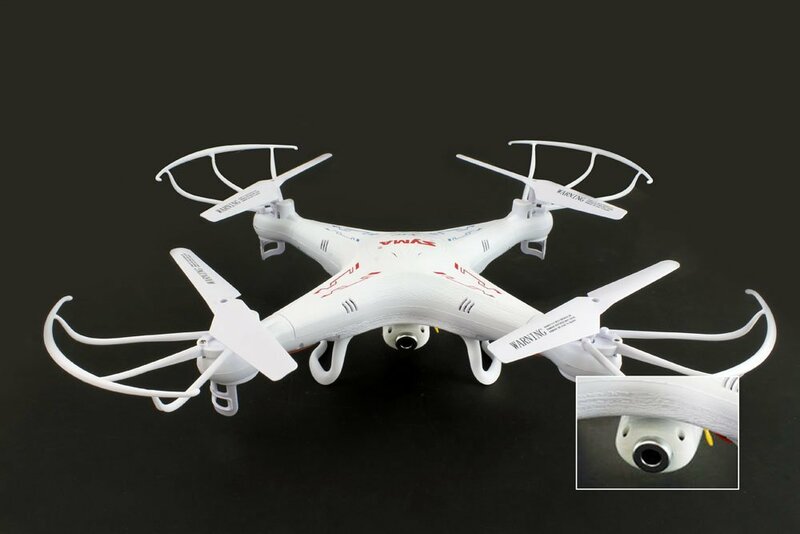 The Phantom 2 Vision Plus is the best Quad on the market with the best load of features. This Quad will fly for half an hour on a single battery and using the built in First Person View and a smartphone this long charge will give you time to travel up to a mile away. Other features include GPS Control which will guide the copter back to you if it gets out of range of the remote. In all but catastrophic cases, GPS will lower the quad to the ground in an emergency. In addition, there are dozens of mods for this quad which allow for attaching a GoPro Hero3 and using other modifications to stream that to a pair of Virtual reality goggles to make you feel like you are in the sky. This copter is packed with an amazing amount of features and is by far the most capable commercial drone on the market. The Vision Standard is significantly cheaper, but is more limited in uses. This is a professional grade drone with a comercial availability through Amazon. UDI is the number one seller of quad copters. The China based company has managed to get the best features of quad-copters at an affordable price. This piece of machinery flies like much more expensive tech. The U818A has a built in gyroscope that can be activated to combat winds or it can be disactivated to allow for the highest horizontal speed. The U818A is beginner friendly with its protected blades. This UDI flies for roughly 9 minutes while keeping the battery at a safe charge. Then the common 3.7 v LiPo battery can be replaced for another round! These batteries go for $3-$5 around the web and there are people who have nodded theirs to take higher capacity batteries for longer flights. The Range is categorized at 30m but that is hardly a stiff line as we have successful tested over 40m before signal weakened noticeably. Also the U818A comes pre equipped with a 480p standard definition camera. This Copter is an absolute steal at the price point with the amount of features it comes with and is a testament to the real benefits of purchasing in the Beginner hobbyists category rather than the toy category. This is the most marketed RC copter that has been ever produced, and there is a reason behind that. It is one of the easiest to fly and most entertaining. The initial cost is closer to the Intermediate level, but the time input is more beginner if not toy class. The amount of entertainment is endless and it is easily accessible. The parrot uses a built in wifi system to stream the controls straight from an iphone like a video game. The Parrot AR 2.0 is also equipped with a 720p HD camera that does quite well at capturing the essence of the flight. While the wifi range is a little short for most people, the ease of use compared to specialized controllers and special monitors is awesome. This is one of the best sellers on Amazon. There is a lot of hype about this copter. 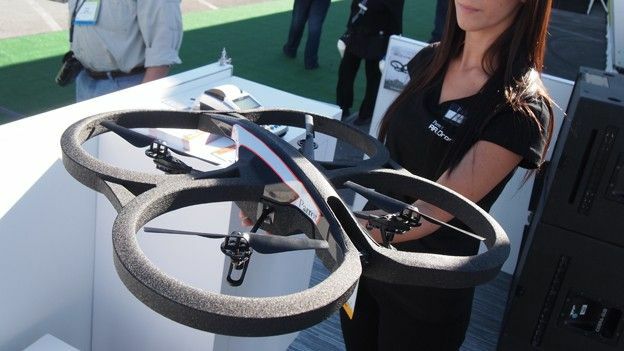 As long as you don't buy into the hype and understand the capabilities of the copter. It takes almost no set up time allowing you to take it out for short runs rather than dedicating sections of your day to it. The F180 by Holy Stone Toys is an awesome product. It is one of the few mini quad copters on the market that is worth its weight. It comes prepared with a batterry allowing for 8 minutes of flight with each charge. In addition, the battery is replacable which is an interesting achievement for something of this price and size! However, the batterry does take an astounding 45 minutes to charge which is just cheap technology. It comes with a crash protection cage that protects the blades and makes the tiny copter have at least a little weight. With the cage on it is absolutely a great quad to use indoors and is an awesome toy! In addition, the cage allows it to have enough weight that it can survive outside with a little wind. 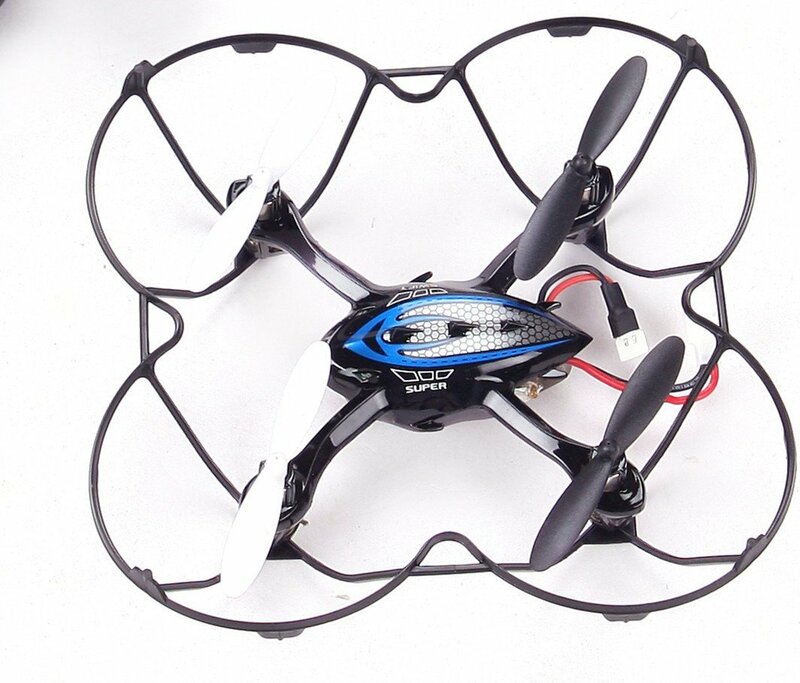 The X5C is a low price access to the field of quad-copters and drones. It mixes decent size, high durability, camera access, and style into a very simple form factor. It carries a style reminiscent of the Phantom 2 but just simplifies everything. It flies up to 100m in clear view, and has some awesome agility. the camera is not meant for photography but more for viewing purposes. It can be simply addapted with high mp cameras to give some medium photography uses. As a whole, it is an awesome introduction to the field because it combines the agility of the more pricey models with some high class durability. The batteries go for 3$ each and provide 5 minutes of flight which is an awsome combination. This copter has excellent ratings for stability. The standout feature of the Vision+ is the 3-axis gimbals with the 1080p video camera (14 MP still photos) built right in. 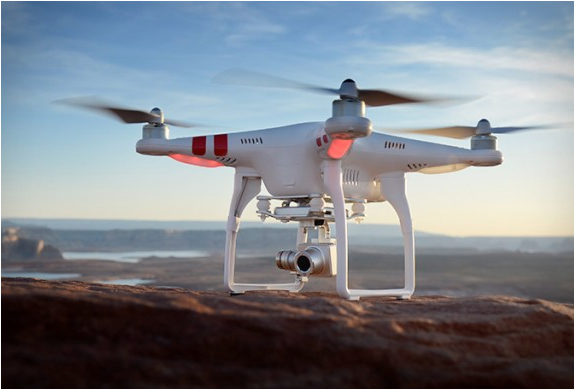 DJI makes high-end gimbals and ventured into cameras late last year with the original Phantom 2 Vision, but that model had a single-axis gimbals with plastic construction. Now just over 6 months later comes the Vision+ with same camera specs and an all-metal design that integrates both the camera and the gimbals into a sleek, lightweight alloy. This is a great flying little quad, although it has been fairly windy since this has been delivered I have still enjoyed it, it does fair in light wind but it is a very light little machine and a gust of wind will pick it up and carry it away fairly quickly, It's a tough little bird though, I hung it up in a tree yesterday and instead of freaking out I looked and saw how it was hooked to the tree then I flew it right off the branch fairly easily, then instead of getting hung up even further up the tree I let it fall the rest of the way down, it smacked just about every branch on the way down and really don't even have a scratch on it. So much fun! Very tough and durable (thankfully! ), and great video quality from the camera. Simple to operate, and easy to control with a little practice. The battery life isn't very long, so I bought a couple extra. While it does feel a little flimsy, seeing how it bends rather than cracks on impact is amazing! It has survived some serious damage with barely a scratch. This Drone is definitely the coolest gadget I've ever owned. It took a few flights to get the hang of it but now I can fly like a Pro! I brought this bad boy to the courtyard of my job and I was able to go 100 feet (about 30 meters) high with no loss of connectivity (I didn't stay there long, I'm not a mad man) I did break the foam bumper on my third indoor flight but the included double sided clear tape had it up and running looking and flying perfect in no time. Gave this five stars because it delivered everything it promised to. Very easy to fly and captures video from either of two onboard cameras. I would suggest at least one extra battery, because the battery (as in all flying toys needing batteries) runs out long before you're done flying. If you can't stand the "jello" of the videos, try taking few still photos from your drone. God I love this quadcopter !! It looks small but it's OK with blades protection. I'm very happy with this Quad... the stability of the quad was incredible,I can easily recommend this for people new to this hobby.Directional control is easily mastered. Nice for learning how to fly and handle a drone. It works good ! This is an overall great product and I would recommend it, I have crashed it many times and it just won't break. Great quality with reasonable price. It's small and versatile, and easy to learn on. The instruction's English could be better, but it is still a very nice toy. If you don't like the low resolution camera that comes with the Syma X5C then attach a high definition micro camera of your choice. I prefer the 808 key chain camera #16. It performs equally as well. Flight time is reduced only marginally. 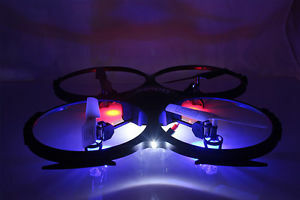 Superb performance and controlled flight inside your house, or outside during calm weather.